The 2014 Winter Olympic Games are just about a day away and if you aren’t attending you might be searching for a way to follow the Games remotely. Security concerns, hefty travel price tags ($7,000 to $14,000 according to CNN Money) and a more remote location than Olympic sites of the past make this Games an even tougher event to attend. If your heart is set on the Games, but your wallet can’t support the trip, technology is your friend. The 2012 London Games are considered by many to be the first Olympics to really utilize social media. 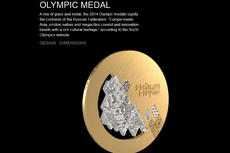 The 2014 Sochi Games are sure to bring that to an entirely new level. This time around, broadcast networks and the IOC have prepared outlets on nearly every social platform and now technology can support live streaming of the Games on many more devices. Users will be better connected than ever before, but ease of access means countless pages and apps vying for viewer attention. You could spend days just deciding which accounts to follow and which apps to download. We did the research for you, across several platforms, and compiled our top picks. Click here to see the best ways to follow the Sochi 2014 Winter Olympics.